This is an opportunity to make use of the resources. There will be several conferences available to help you with your job search. Admission is free. MCIT will be there to address your topics. 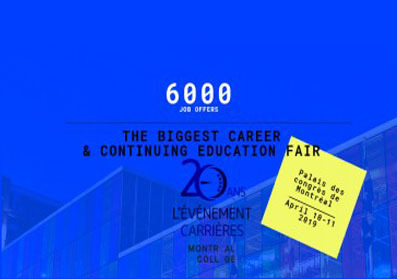 Come join us and at booth 225 and consider options about your career. Our team will be at the stalls ready to help you and update you about our changes in teaching methodology and career options. Feel free to access the team and understand how we can address your career progress. You may also ask for express advising session with our program directors. The national career fair event will be held on the 10th and the 11th of April 2019.